Special CBI Judge O.P. 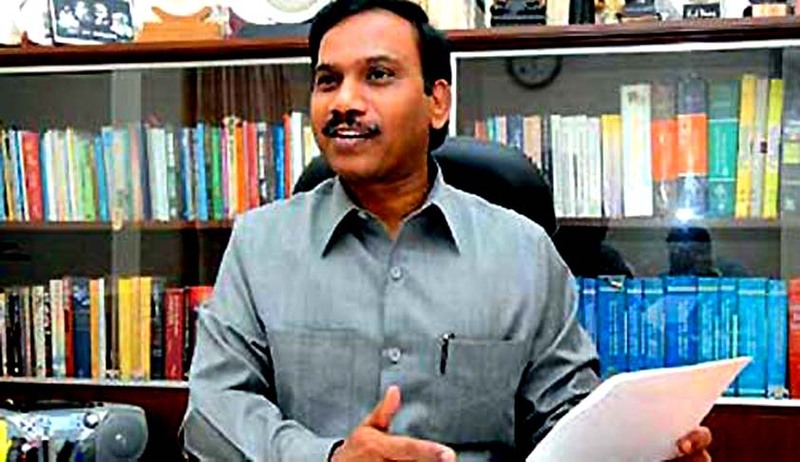 Saini granted former Telecom Minister A. Raja’s wish to depose as a witness in order to defend himself in the current 2G spectrum case. According to The Hindu reports, Raja had also sought summoning of S E Rajan, his former personal assistant, as a defence witness saying Rajan would depose regarding the events and meetings held at the former telecom Minister’s official residence. Besides, he also desired summoning of concerned officers from the Lok Sabha Secretariat, Department of Telecom and Ministry of Law and Justice in his defense. Along with these, he had furthermore demanded convening of documents of Lok Sabha debates dated Nov 26, 2007; Feb 22, 2010 and Feb 21, 2011, text of the press statement given by Kapil Sibal, then union minister, on 2G spectrum issues dated Jan 7, 2011 and presidential reference dated April 12, 2012 made to the Supreme Court for supporting his innocence in the case. According to him, these documents would “rebut the allegation of conspiracy between the accused persons and to deal with the issue of alleged loss to the exchequer caused by grant of UAS Licenses and allocation of 2G spectrum in 2008.” Stand of the judge with regard to these documents to be deposed as defense is unclear as of now. The Court also allowed summoning of defense witnesses to by the others, the plea being accepted by the prosecution as well. These included pleas by former Telecom Secretary Siddhartha Behura, Unitech Ltd MD Sanjay Chandra, Reliance ADAG executives Surendra Pipara and Hari Nair, Bollywood producer Karim Morani, Kalaignar TV MD Sharad Kumar and accused firm Unitech Wireless (Tamil Nadu) Pvt Ltd seeking to summon some witnesses in their defence in the case. These witnesses were directed to be present in the court in first or second week of July. DMK MP Kanimozhi, Reliance ADAG executive Gautam Doshi, Swan Telecom promoter Vinod Goenka, Reliance Telecom Ltd and Swan Telecom Pvt Ltd didn’t desire to affront any evidence in their defense. The accused in the case include Kanimozhi, Behura, Raja’s erstwhile private secretary R K Chandolia, Swan Telecom promoters Shahid Usman Balwa and Vinod Goenka, Sanjay Chandra, Reliance ADAG executives Gautam Doshi, Surendra Pipara and Hari Nair, Directors of Kusegaon Fruits and Vegetables Pvt Ltd, Asif Balwa and Rajiv Agarwal, Sharad Kumar, Karim Morani, Swan Telecom Pvt Ltd, Reliance Telecom Ltd and Unitech Wireless (Tamil Nadu) Pvt Ltd. Earlier in May, Prashant Bhusan had filed a fresh application in the Supreme Court, seeking an investigation against TATAs, Karunanidhi family and an IPS Officer. Read the Livelaw story here. The matter has now been fixed for July 1 for initiation of documentation of defense evidence in the case. Read more news about the 2G Spectrum scam here.